Another valuable three letter .com domain name has become the subject of a UDRP proceeding at the World Intellectual Property Organization. A company filed a UDRP against the ICP.com domain name. It is WIPO Case D2016-2005. 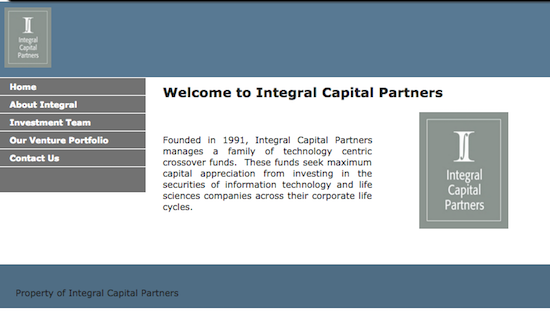 ICP.com has a creation date of March of 1998, and the current admin organization is listed as Integral Capital Partners of Menlo Park, California. Looking at DomainTools Whois history Tool, it looks like the domain name has been owned by the same entity since the earliest archived record in 2001. The complainant in this UDRP is listed as InformaciÃ³n, Control y PlanificaciÃ³n, S.A. A Google search for this company shows that the complainant is likely the same company that operates ICP.es (you can see this longer name referenced on that website’s legal page). This company seems to be based in Spain. I have no idea why this company believes it should be able to take the ICP.com domain name via UDRP. It would need to prove three important elements in the UDRP, and I don’t see how that would be possible. For instance, the complainant would need to prove the domain name was registered and is being used in bad faith.The registrant was using the domain name for its company for a long time (as evidenced by Archive.org), so from my outside perspective, that is not going to be possible. Fortunately, it appears that the domain name registrant has plenty of funds to defend this UDRP. They could probably not respond and still win given the historical usage of the domain name. I wouldn’t recommend doing that given the high stakes, but a UDRP filing like this is a head scratcher for me. I will be following this UDRP and will post an update when a decision is made. Update: According to UDRPSearch.com, this UDRP was denied. The decision has not been published yet, so I don’t have details about the decision to share at this time. Update 2: Here’s a link to the decision on WIPO’s website. They fixed the forwarding issue now. No more Grateful Dead, thankfully. Most overrated band ever. UDRP denied, according to UDRPSearch.com.